Rock your cap from the bedroom to the gym. 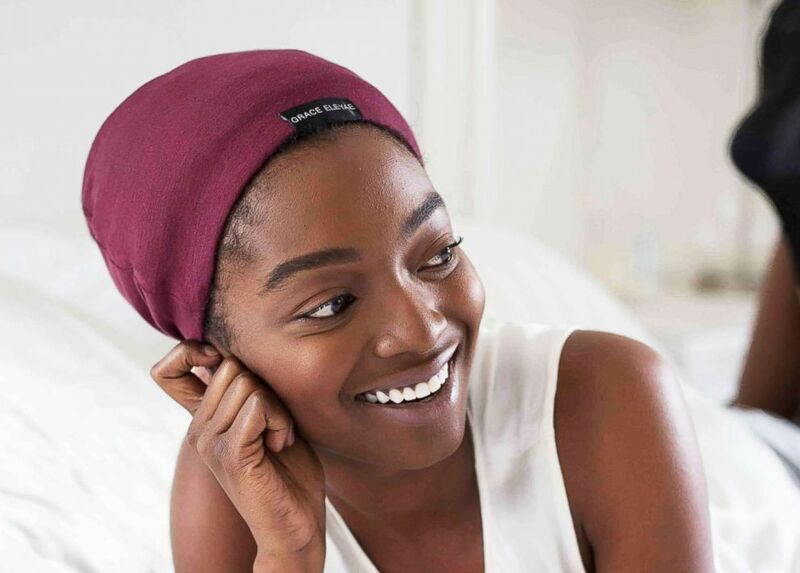 After suffering hair breakage from wearing a hat while traveling, Grace Eleyae, chief executive officer and co-founder of the original Slap (Satin-Lined Cap), decided enough was enough. Instead of complaining, she got creative. "There has to be something that is stylish enough to go out in, but protective enough to wear to bed," Eleyae told "Good Morning America" she thought to herself after her frustrating hair loss experience. From there, Eleyae went on a six-month journey in 2013 seeking a different way to incorporate satin into more stylish headpieces. By 2014, "in a moment of divine inspiration," Eleyae added the final touches on the idea of the Slap. "I sewed the first prototype myself," she said. (Grace Eleyae) Silk-lined hats from Grace Eleyae. Now, celebrities such as actresses Gabrielle Union and Viola Davis as well as comedian and television host Loni Love are also fans of the brand. Happy anniversary to @gabunion and @dwyanewade "D is literally my best friend. We really, really enjoy spending time with each other more than anybody else." Gabrielle Union-Wade. Can you spot the mustard Satin-Lined Turban she styled perfectly? The idea of a 'bad hair day' no longer has to be part of our vocabulary. Eleyae drew inspiration for the line from her childhood as one of the only dark-skinned black girls in a predominantly Caucasian suburb thirty minutes east of Los Angeles. "The dolls I played with, though black, had silky hair," she said. Refusing to chemically straighten or alter her naturally textured hair, she also realized, "There was no way I was ever going to get my ponytail puff to sway back and forth like the other girls on the soccer team." It's the brand's first ever! "We want to give women the tools to be their most confident self." With these discouraging childhood memories, Eleyae realized that it was important to launch her line of hats not just because it was convenient and provided hair protection, but also to help women live confidently in their everyday lives. With a credit card that had a limit of $10,000, Eleyae was able to launch what would turn into a million dollar company in a little over four years. "The biggest benefit of wearing our satin-lined products is that the idea of a 'bad hair day' no longer has to be part of our vocabulary," she said. Using satin on your hair can be beneficial for a number of reasons. Unlike cotton, satin doesn't zap moisture from your strands, as mentioned on the brand's website. With satin, your hair can keep its shine, limit breakage, and even help combat frizz. Today, Eleyae has expanded her eponymous company to not only include her Slap caps, but also fedoras, turbans, scrunchies, pillowcases, and more. "When your style isn’t set or you don’t feel like doing your hair, you can put on a turban, Fedora or any of our satin-lined products, some cute earrings, and head to the office or out to brunch," Eleyae explained. 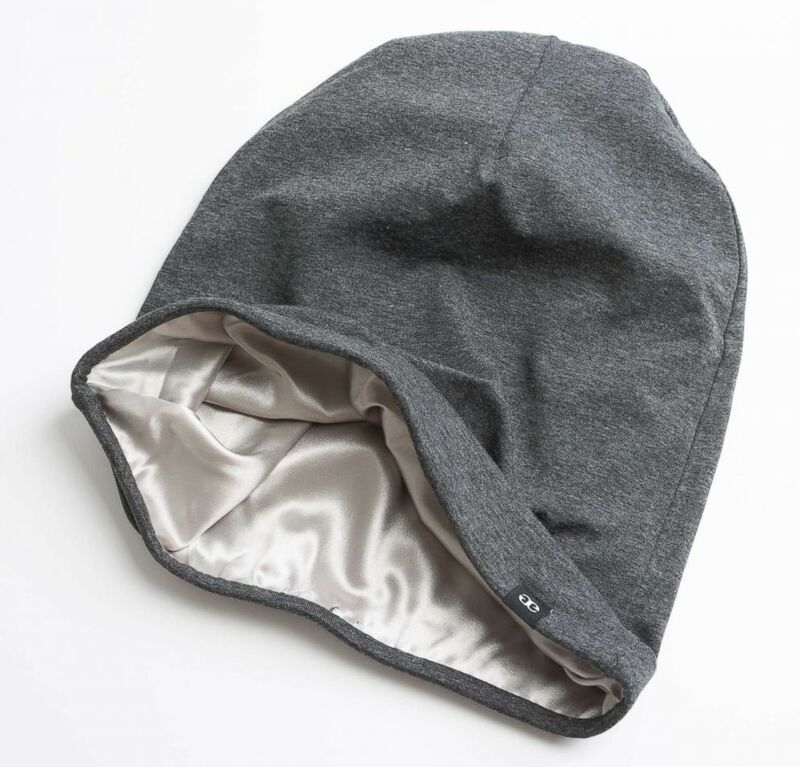 Since launching, people have been very receptive and excited about Grace Eleyae headwear. "We have customers who have shared their battles with hair loss through alopecia or chemotherapy who’ve told us how much the Slap has helped restore their confidence," said Eleyae. She continued, "We’ve had moms tell us how thankful they are that there is something convenient enough to go out in since they don’t have time to do their own hair in the morning with young children running around." Eleyae has summers hats, more bold colors, and beautiful prints launching soon. "We desire to keep making solutions for women to be able to feel confident in their everyday lives." "We like to give women that 'Wow, I didn’t know this was possible, and now it is' moment. Every single story helps fuel the reason behind why we’re doing what we’re doing," she said. Every single story helps fuel the reason behind why we’re doing what we’re doing. Keep going! Stop and write down three things that are sure to be a part of the hope-full reality you are having trouble seeing right now. Shift directions if you absolutely need to. Just don’t stop moving forward. If you find your people, you find your destiny. The people around you (friends, mentors, employees, etc) will be the ones who help navigate the road to your destination.